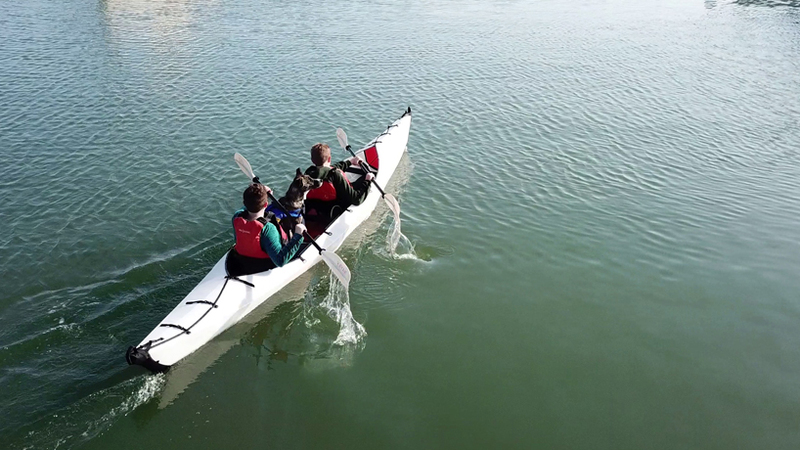 oru kayak – the makers behind the original origami-inspired kayak that folds from box to boat in five minutes – has created a convertible two-seated edition called the haven. 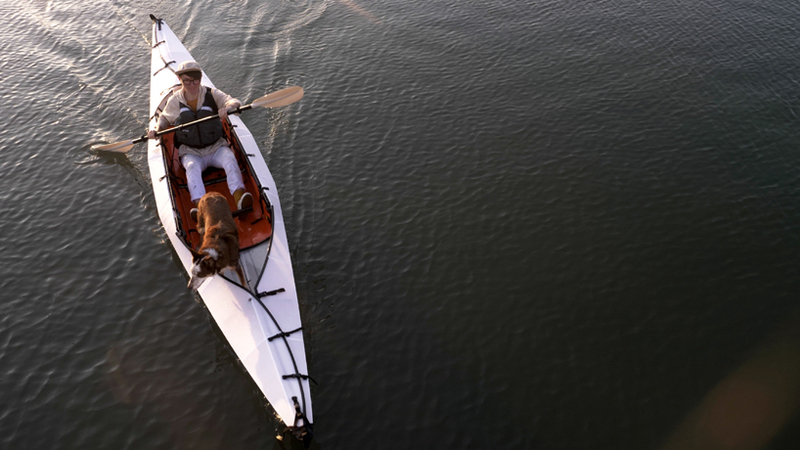 as their largest and most stable design yet, the tandem kayak can be enjoyed with a buddy and a furry friend. 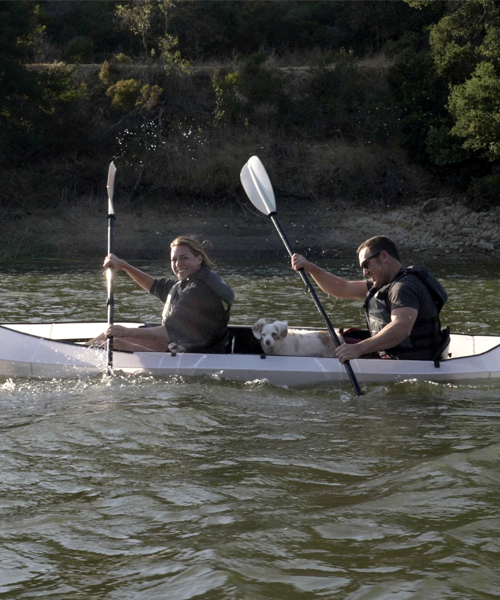 it takes approximately 10 minutes to assemble, and can be quickly and easily converted to single-person occupancy. 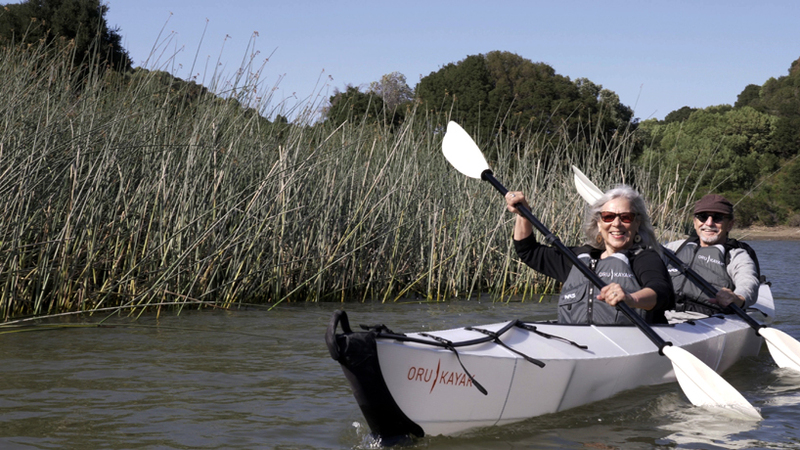 like their previous innovations, oru kayak’s haven is once more a space-saving solution for adventurers. 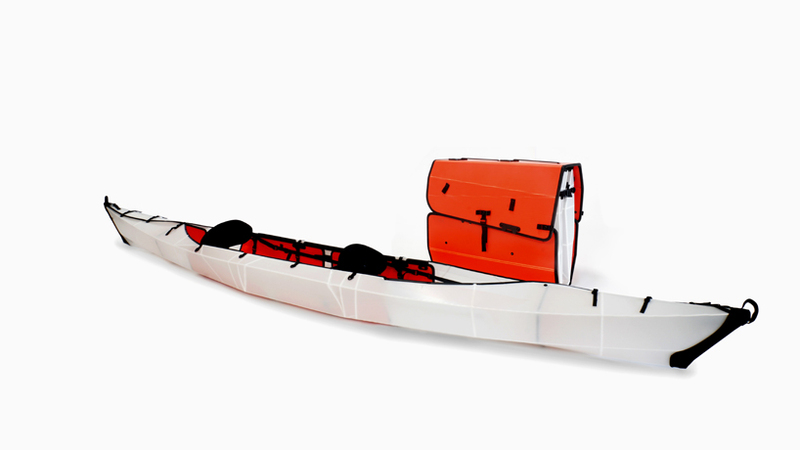 going from box to boat in 10 minutes is easy to set up thanks to an intuitive system of folding patterns and color-coded marks. 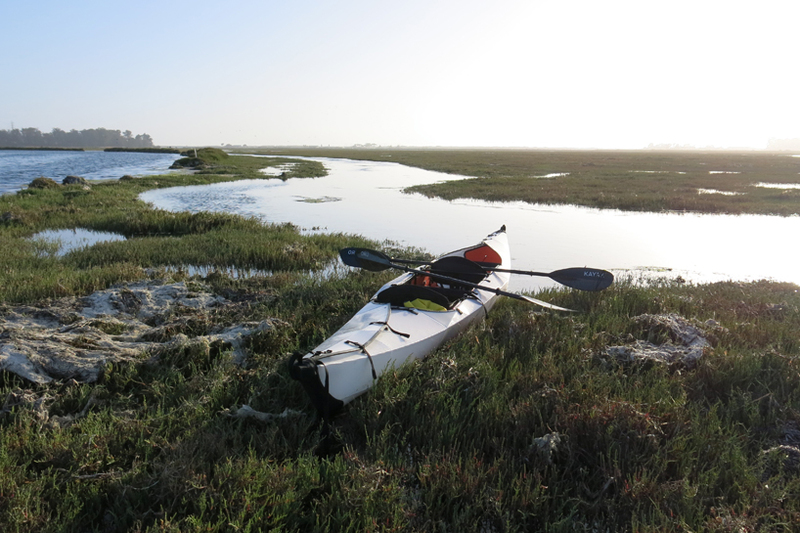 furthermore, once assembled, the watercraft is equipped with a proprietary and patent-pending universal rail system that runs along the top of the sidewalls. 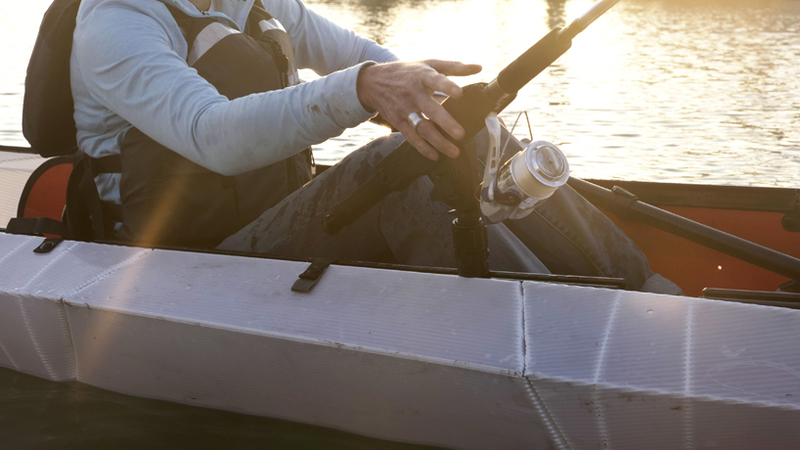 this is compatible with a wide variety of accessories, meaning kayakers can attach cup holders to keep them refreshed, fishing equipment for even more fun on the water, and cameras to film throughout the adventures. 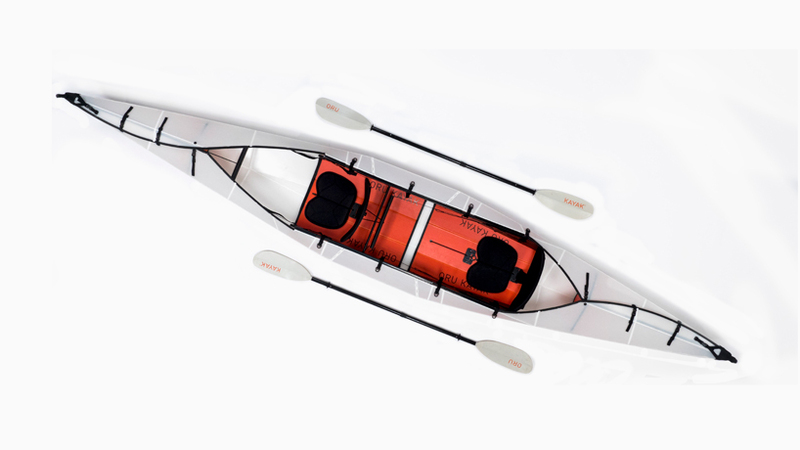 the oru kayak haven is sure to be snapped up as quickly as it takes to assemble; check out their indiegogo campaign from september 18 here.